The car wash and detailing industry is faring well. 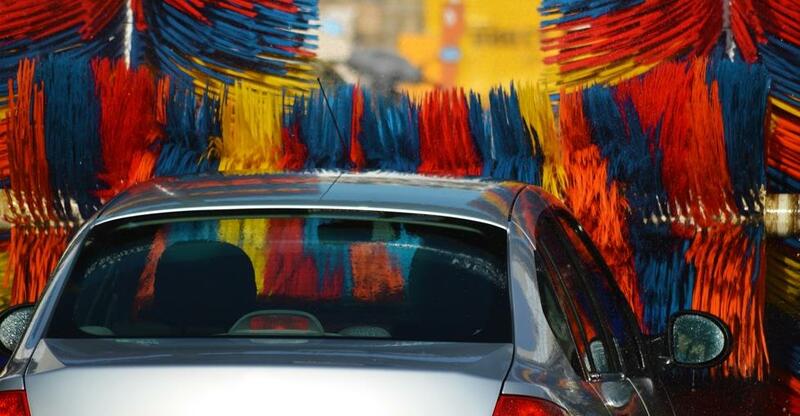 Water restrictions and environmental concerns about washing cars at home have seen more motorists turn to third-party car cleaning options and driven annual growth of around 2.5%. But there’s more to running a car wash than picking up a sponge and bucket and whipping up some suds – if you even need buckets in the first place. This guide outlines the various types of car wash and offers advice around buying an established operation, where you acquire fitted out premises, trained staff, operational equipment and everything else you need to make money from day one. While the car wash business model is less complex than in many sectors, you can make your life easier still with a franchise. A reputable franchise will help you set up the business, train you up in following a proven formula, provide ongoing support and run marketing campaigns. Car wash franchise brands operational in Australia include WashTec, Magic Hand (here’s an interview with a franchisee), Geowash, IMO Car Wash and Car Care. What kind of car wash do you want – and can you afford – to buy? You can quickly generate a shortlist of potential acquisitions by filtering car washes for sale on BusinessesForSale.com according to your budget and preferences – price, location, sales revenue, real property or leasehold, accommodation included or not, owner financed and so forth. You can also filter by any keyword you want to try, be it ‘automated’, ‘highway’ or something else. Which type of car wash? Highly automated operations can service more customers – and generate more revenue – in a given time frame than their manual counterparts. Less labour-intensive, they also offer bigger margins, albeit with maintenance costs to consider. The self-service model also cuts labour costs, but imposes inconvenience on the customer. For all the attractions of automation, hand car washes still abound and thrive. Businesses that excel in car detailing – polishing, waxing and paintwork restoration as well as a superficial clean – can be attractive options too. Customers on high incomes and car dealerships seeking to enhance resale value can provide a regular source of lucrative custom. The cheapest option is the mobile version: where a van kitted out with cleaning equipment visits businesses and people’s homes to save them the effort of driving to a car wash. Franchises – such as Nanotek Makay and Express Car Cleaning – dominate the mobile market. Car washes are valued primarily according to profits over several years – multiplied by an industry standard ratio – as well as the value of property, land and equipment. The seller will almost certainly have enlisted a business broker to value the business, but you could appoint your own expert to conduct an independent valuation. At the time of writing, car washes for sale on this site range from $50,000 to $750,000 in price. And it’s not just high-tech automated businesses at the top end; hand car washes that turn customers round quickly in a busy location can command premium prices too. A car wash lives or dies by its location. The calculus for gauging a location’s desirability is simple: how much traffic does the road bear on a typical day? When you visit a business you’re interested in, watch the traffic awhile. But save yourself from wasted time first by plotting a Google Maps route through the area at various times of the day; Google Maps denotes traffic according to a colour key, from red (heavy congestion) to green (no congestion). Being on the same site as a petrol station, where motorists simply must periodically stop, is a major plus. Size is another consideration. How many cars can the business accommodate at once? And if the business operates at well below capacity then there’s scope for growing revenues – contingent on the barriers to attracting more customers. How much competition is there in the vicinity? And how does it compare – in terms of speed, quality and prices – to the operation you’re looking to buy? If rivals have a competitive edge then you should consider the time, effort and – most importantly – investment it would take to bridge the gap. Your target business will look a more or less attractive proposition depending on your conclusions – unless of course you are happy with current income levels. Once a deal to buy a business is agreed in principle, a period of due diligence should be undertaken. This is your chance to check that information about the business provided by the seller stands up to scrutiny. Due diligence entails an exhaustive investigation of the premises, accounts, employees, brand reputation and other factors influencing the asking price. Financial statements are not reliable gauges of actual revenue in a sector where lots of cash goes through the register, so base your sales numbers on sales reports generated by the computerised, point-of-sale cash register. It’s advisable to seek the advice of professional experts in business acquisitions – notably lawyers, accountants and/or business brokers. They can help you with securing funding, business valuation, obtaining and scrutinising paperwork, negotiations, due diligence and finalising the deal.